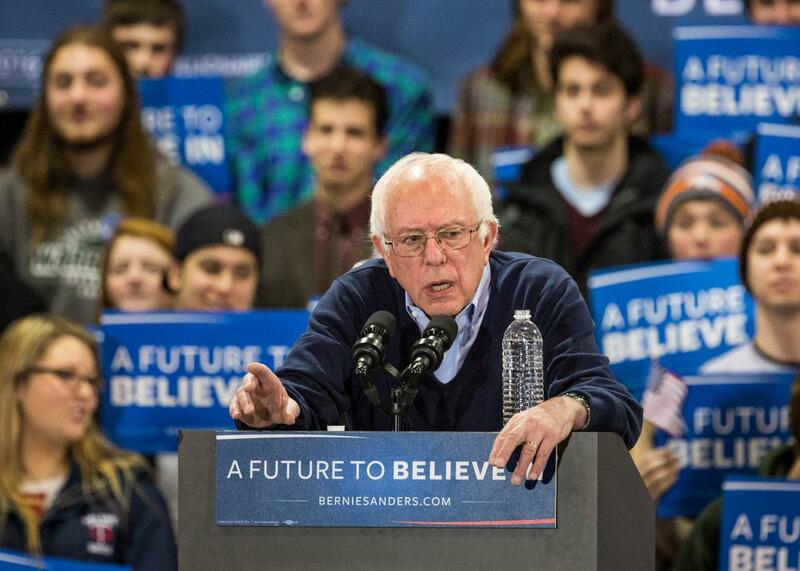 Bernie Sanders raised $6.5 million after his New Hampshire win. Bernie Sanders speaks at a campaign rally on Saturday in Rindge, New Hampshire. His opponent, of course, is no slouch in the fundraising department. Hillary Clinton outraised Sanders by roughly $40 million last year, bringing in a total of $116 million in 2015. She also has a personal fortune to fall back on if things ever get tough, as she did back in the 2008 cycle when she gave her campaign more than $13 million. And, of course, she has the additional advantage of her aligned super PAC, Priorities USA, which raised $41 million last year, as well as the support of other outside groups with millions to burn. Clinton’s in no danger of running out of resources. As important as his narrative, though, is his financial reality. Sanders’ small-donor network serves as a near-renewable resource that he can continue to tap until his fans either can’t afford to give any more or they reach their maximum contribution limit of $2,700, whichever comes first. His campaign can solicit small donations in good times (when he wins a primary) and bad (when Clinton attacks), and in between. Clinton doesn’t have that same luxury since a significantly higher percentage of her donors have already given all that they legally can. Consider: 72 percent of Sanders’ donations last year were for $200 or less, compared to only 16 percent of Clinton’s. When Hillary wants an infusion of cash, her staff needs to find new donors, either through online outreach or by holding traditional fundraisers, both of which take time and money. When Bernie wants to make a splash, he just needs to step on stage and ask his existing ones. *Correction, Feb. 11, 2016: An earlier version of this post misstated the year that Sanders set his current quarterly fundraising record. It was the fourth quarter of 2015, not 2016.